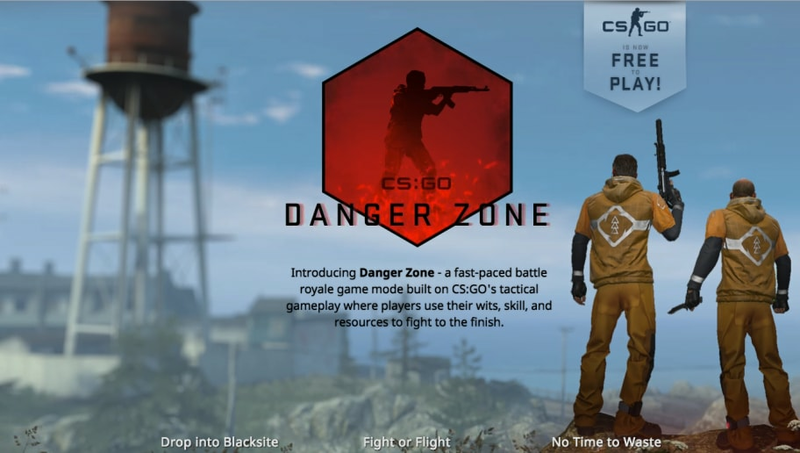 CS:GO Danger Zone, the latest update to Counter-Strike: Global Offensive, went live Thursday introducing the world to the latest battle royale mode in the genre. The update also introduced important changes to the CS:GO landscape. Here are five important takeaways from the Counter-Strike: Global Offensive Danger Zone Update. Danger Zone is Valve's CS:GO entry into a battle royale genre dominated currently by Epic Games' Fortnite, Activision's Call of Duty: Black Ops 4 and PUBG Corp's PLAYERUNKNOWN'S BATTLEGROUNDS. The mode is fresh out of the box, so at face value, it should be taken as Valve looking to create a similar, yet unique experience in a Counter-Strike landscape. CS:GO is now free-to-play, a welcomed update to a game that previously cost $14.99 at retail. Some of its competitors, namely Valve's other major IP Dota 2, was already F2P. With CS:GO now joining that party, it'll open more eyes to the game. A new case, the Danger Zone Case, was announced in conjunction with the BR mode. A new case generally means an influx in the Steam community market. The skins look gorgeous, continue to incorporate community designs, and keep the micro-transaction aspect of CS:GO fresh.